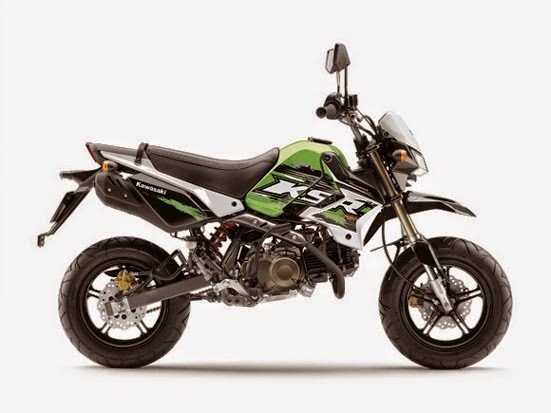 New Kawasaki KSR Pro Specs - Kawasaki KSR Pro is a mini moto bike which is the next generation of KSR 110 which comes with a few changes. 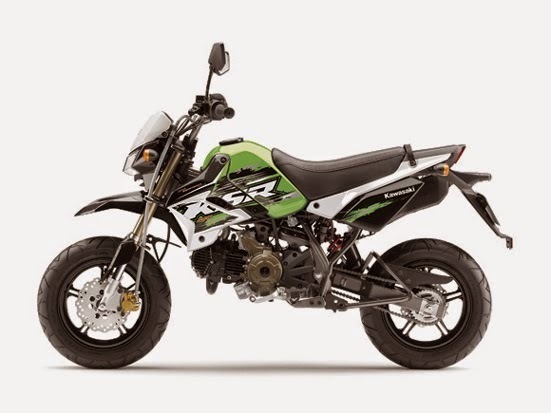 Mini Moto from Kawasaki is now comes with new striping that appears more aggressive and sporty. besides that Kawasaki also pinning manual clutch makes this mini sport bike more aggressive. 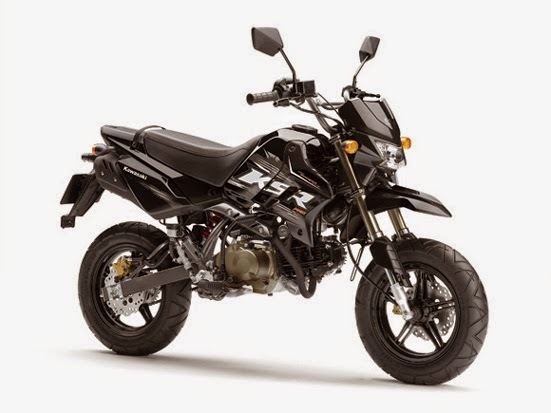 Beyond that, the New KSR Pro retains the 12-inch cast aluminum wheels, compact frame, low 29.5-inch seat height, 209 pound (claimed) weight and supermoto styling. The front suspension remains a 30mm upside-down fork with 130mm of travel while the rear shock provides 125mm of travel. 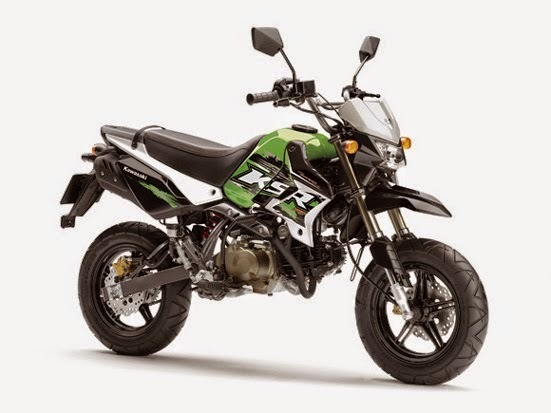 While for the the engine sector, 2015 New Kawasaki KSR Pro equipped with engine capacity of 110 cc, SOHC, 2-valve, 4-stroke, air-cooled with a fuel carburetion system Keihin carburetor BP18. From the engine Kawasaki KSR 110 Pro is capable of spewing power up to 8.6 PS at 8,000 rpm with a torque of 8.6 Nm at 6,000 rpm.